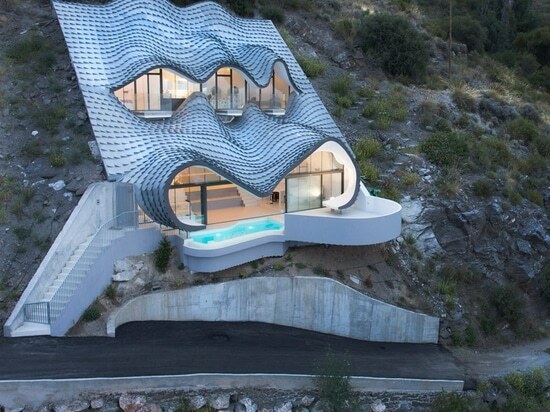 commissioned by a young couple and faced with a challenging site, gilbartolomé architects have conceived the distinctive ‘casa del acantilado’ embedded deep into the cliff overlooking the mediterranean in granada, spain. 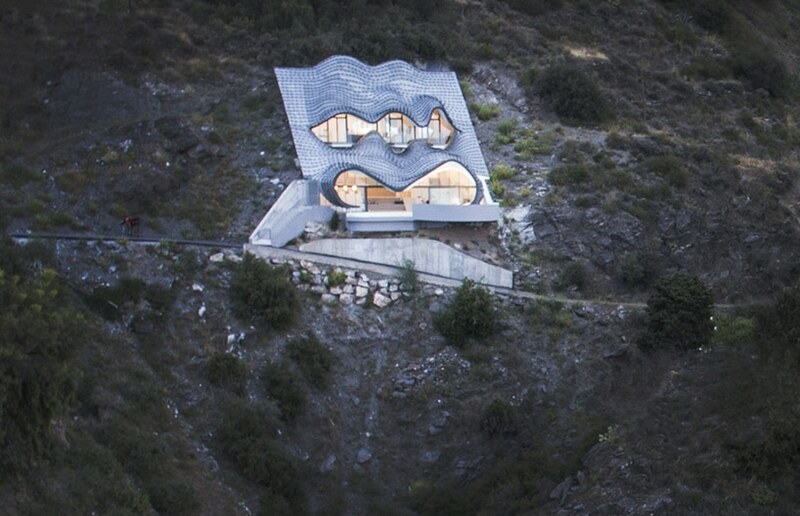 the complex scheme is the result of ambitious ideas derived from both the client and the architect. 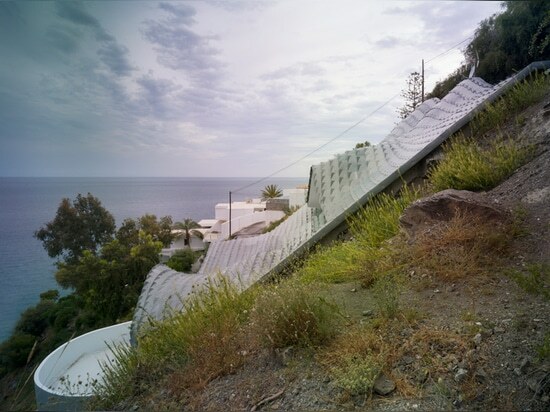 the brief called for a structure that would integrate with the unique landscape and contain interiors orientated towards the sea. 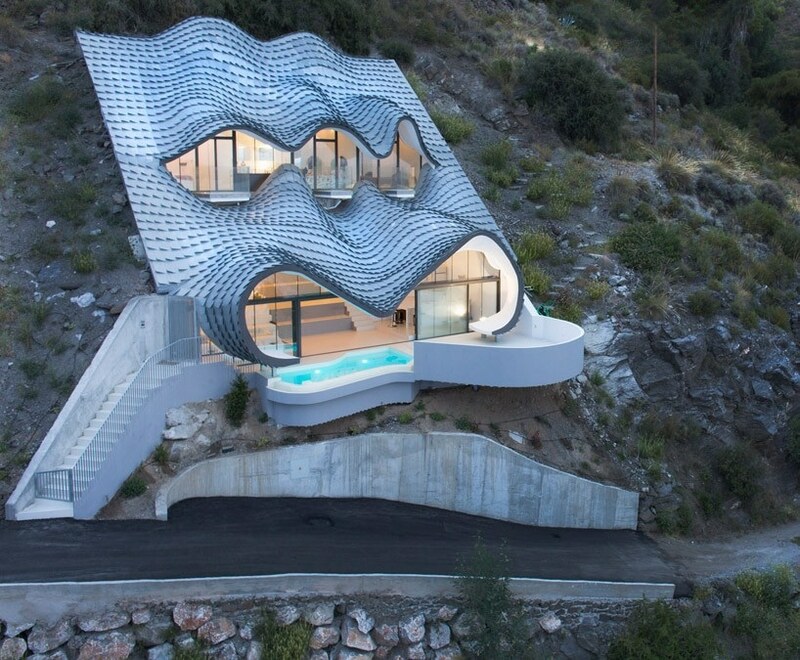 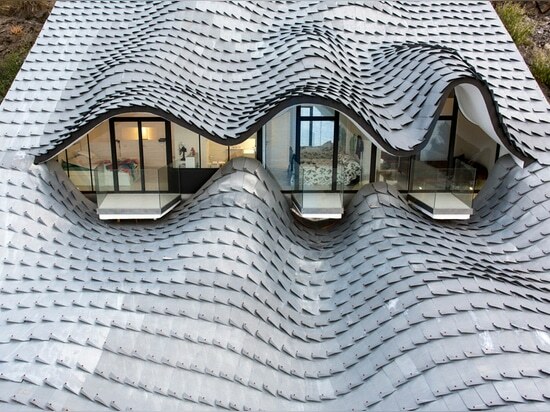 portrayed as a ‘gaudiesque contemporary cave’, the unusual structure features a intricately formed roof form made from handmade zinc tiles that gives off a metallic shimmer. 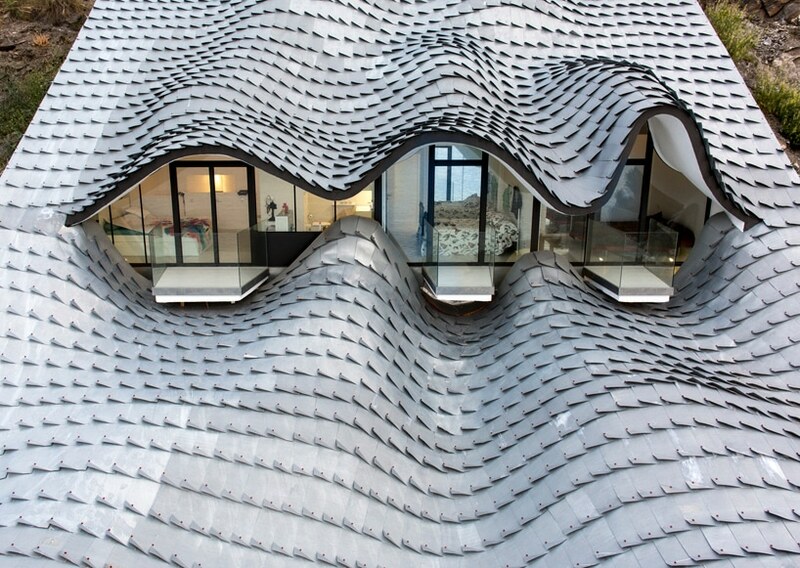 using a efficient de-formable metal mesh, the roof was produced through a handcrafted formwork system developed by a local engineer. 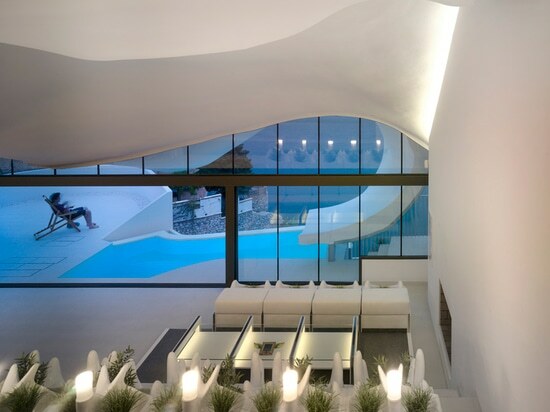 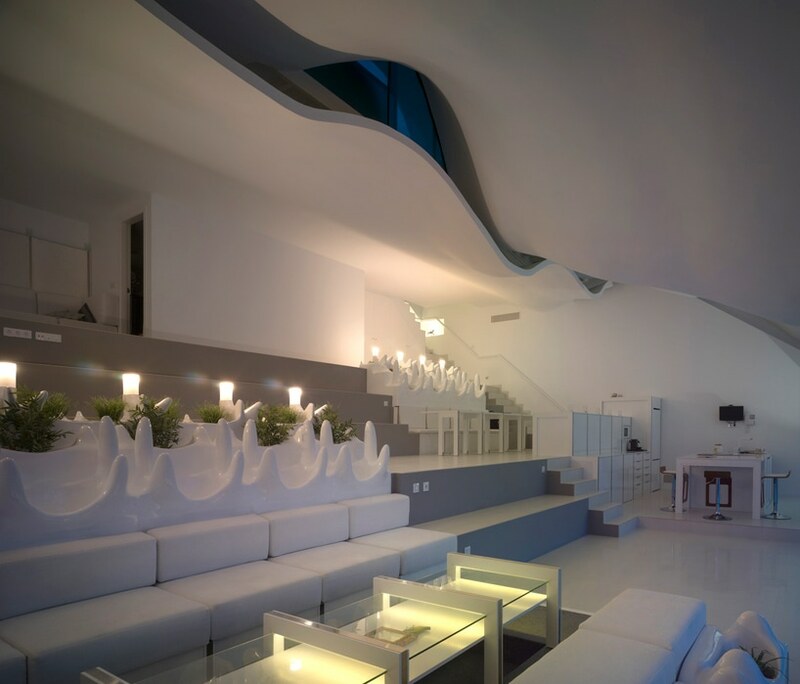 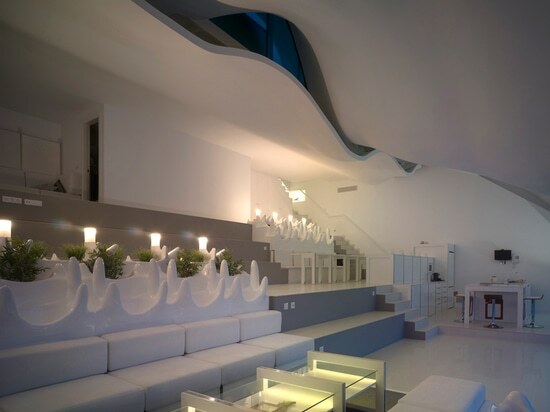 the interiors – boasting a constant view of the water – is spread across two levels. 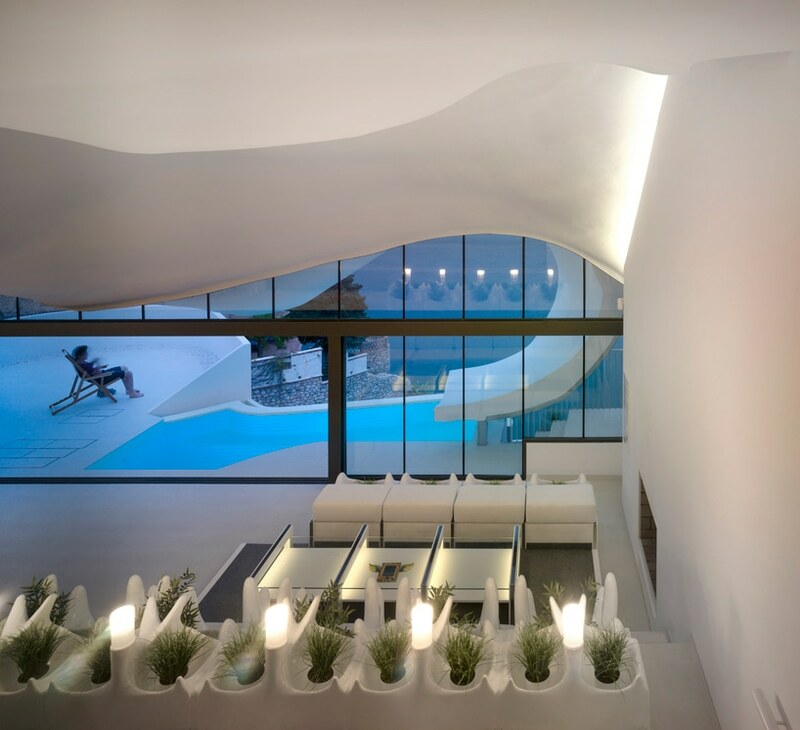 private programs are on the second floor, while the large terraced living room below follows the inclining slope of the cliff and seamlessly leads onto a cantilevering terrace with a pool. 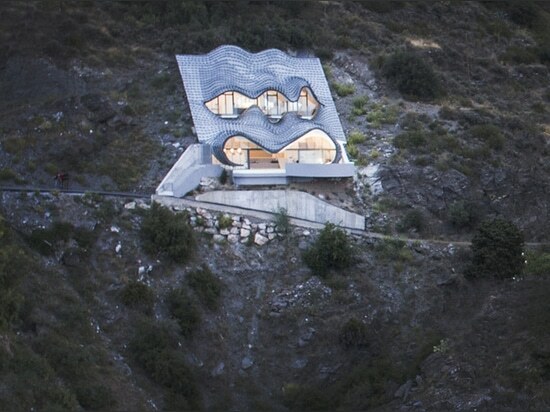 the advantage of its buried context is the home benefits from keeping a constant temperature of 19.5 degrees celsius. 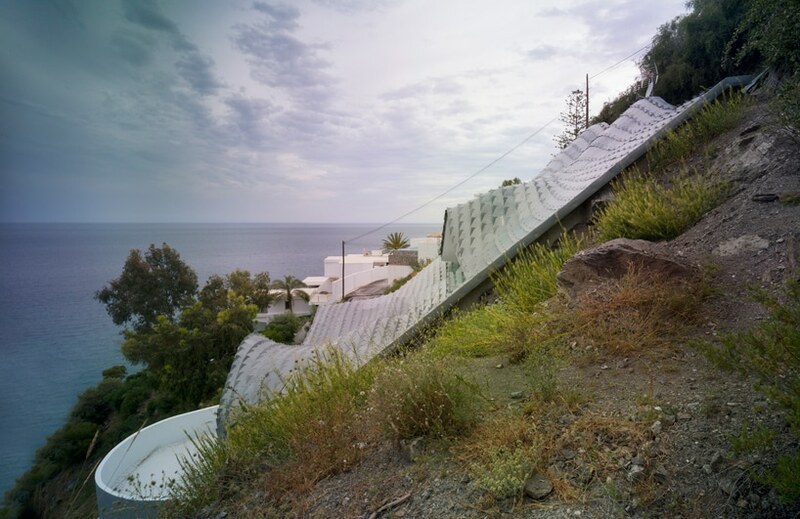 the project was realized during the financial crisis in spain and despite the social context, the architects avoided the rushed, factory-made construction and chose to develop the home using manual labor that would produce a higher-quality construction.